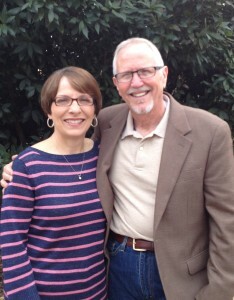 Don and Eileen Williams are Lead Pastors here at Hosanna. They have been married since 1971 and in full time ministry since 1973. After accepting Jesus Christ as their Lord and Savior, God led them to be on staff at Louisiana Teen Challenge Ministry in New Orleans. In 1974, they pioneered First Assembly of God in Donaldsonville, Louisiana which eventually moved to Plattenville, La and was renamed Community Worship Center. They pastored there 18+ years then in 1993 they became Pastors here at Hosanna. They have two beautiful daughters, Stephanie and Lisa, two wonderful sons-in-law and 5 grandchildren! Stephanie and her husband, Lee Roy de la Cerda, both graduated from Southwestern Assemblies of God University and currently teach at Life School in Red Oak, Texas and attend The Oaks Fellowship. Lisa and her husband, Jason Dickenson, also graduated from Southwestern University. They are Pastors at Harvest Fellowship in Albuquerque New Mexico. Pastor Don and Eileen are so thankful to the Lord for giving them a wonderful family and calling them into His service and the ministry of pastoring such wonderful people!